Voices, or just the sound of the wind? Footsteps, or just the crash of waves on the shore? Whatever it is, it sounds like danger. It is Mick's idea to visit the old pier at night. He calls it 'exploring', and his mate Phil agrees to go...reluctantly. As it turns out, Mick gets more than he bargained for. This is a practical resource full of activity ideas and tips to encourage teachers to use ICT to best effect in English lessons. 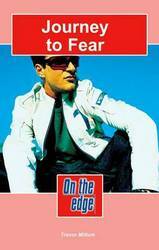 Want to get boys excited about poetry? Try establishing a wiki-war on the use of form and structure. Or perhaps a podcast to develop close analysis of language. How about getting them blogging about their favourite characters? Based on established principles of the best ways to use ICT in English, this practical resource looks at when and how ICT can be used to engage and inspire students of English, but only when it enhances teaching and learning, never for its own sake. Beginning with an overview of what ICT can offer and how it is changing the way we teach and learn, the authors then give practical examples of activities and ideas to attain key English skills and learning goals in secondary schools. 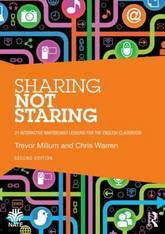 Throughout the book, there are tried-and-tested ideas for tackling the hard-to-teach topics, and there is also a dedicated website with links to useful websites, the authors' favourite tips and downloadable resources. 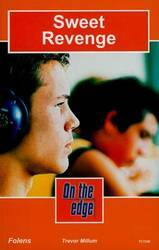 A new series of bespoke, full-coverage resources developed for the 2015 GCSE English qualifications. 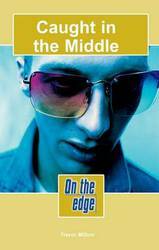 Developed for the 2015 AQA GCSE English Literature specification, this print Student Book provides a fresh approach to building students' skills and confidence in reading and responding to poems. 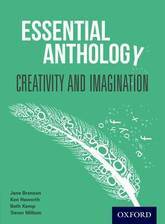 Written by authors with unparalleled experience, this resource includes one unit for each of the poems in the AQA poetry anthology (Poems Past and Present), sections on comparing anthology poems and exploring unseen poems, and an in-depth exam preparation section. See also our Poetry print and digital pack, which comprises the print Student Book, the enhanced digital edition and a free Teacher's Resource. 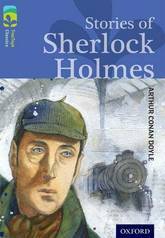 Stories of Sherlock Holmes includes four very different mysteries that Sherlock Holmes must use all his skill and cunning to solve. Aided by Dr Watson, Holmes faces mysteries involving 'a rat', a blue jewel, a famous racehorse and a woman who is in great danger. Exciting and powerful classic stories to enrich and extend your children's reading experiences. TreeTops Classics are carefully adapted versions of must-read stories which introduce your readers to significant authors, powerful plots and characters that have stood the test of time. 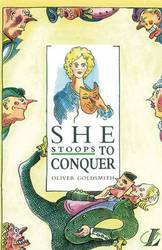 These abridged versions of classics have been sensitively adapted by top children's authors to ensure that language and content is appropriate, but remain faithful to the original. These enchanting stories will appeal to all your junior readers and introduce them to a rich literary heritage. Each book includes author biographies and notes to help with historical and social context and any challenging vocabulary, ensuring the books are easily accessible. Books contain inside cover notes to support children in their reading. Help with children's reading development also available at www.oxfordowl.co.uk. The books are finely levelled, making it easy to match every child to the right book. Sisters! Who'd have them? First they won't speak to you, then they need your help. As a brother you can't do anything right! When Vicki brings yet another guy home, Phil decides she needs protecting. So he follows her, and finds a trail of dodgy disks and dodgy accents. What does it all add up to? Is it just a matter of too much romance? Life would be boring if you played by the rules. We'd all choose to have some excitement. But what about the things you can't choose or control? Vicki's up for the cruise along the sea front. Even if Will's not her ideal guy, and the car's a wreck. But even she hadn't bargained for what happens next. What is a parent's job? To worry, of course. Especially when drugs, boyfriends and strange meetings are concerned. Em helps out Jan and her sister Becky with a pet problem. Nothing too serious. Kid's stuff really. The problem is, Em's mother starts to put two and two together, and doesn't like the answer. 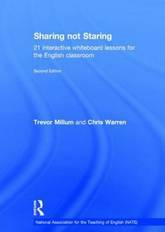 Sharing not Staring steers teachers towards using the interactive whiteboard in ways which purposefully tap into its huge potential to make teaching more interactive, more exciting, more creative and enjoyable. The approaches described in this updated and highly practical new edition fall into the following broad categories: * Spotlight and word cover/reveal effects - having the impact of a puzzle which emphasises the question as opposed to a standard answer * Text Organisation - enabling sequencing and exploration of syntax * PowerPoint - exploiting the creative potential of this often overused or misused tool. * Word - Performing the equivalent of conjuring tricks in the classroom. You can animate text, map it, organise it, hide it or scramble it. * Image, moving image and Flash - discovering the impact and potential of well chose still images or video clips. Flash programs that have specific applications with words can add to the wonder and magic of English. The activities outlined in this book can be undertaken with any of the popular brands of interactive white-board and are relevant with all age groups, across all educational borders. 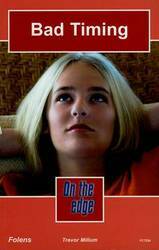 Six 60pp novels, containing approximately 5,000 words (no illustrations), to encourage and motivate 11 to 14 year olds with a reading ability of age 9 to 10. 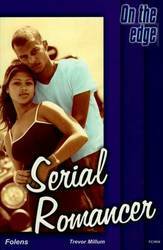 Based around a soap opera , these cutting edge novels provide interesting content and story continuity to encourage success for even the weakest reader. Teacher support also available. 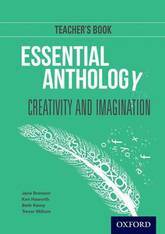 Nelson English: Essential Anthology is a source-based, flexible series of resources to support the new Key Stage 3 Programme of Study through a blend of print and online. Offering a differentiated, skills-focused approach for the delivery of Reading, Writing, Grammar and Vocabulary, and Spoken English. 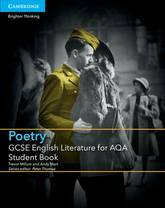 This helpful and accessible teacher resource offers over 800 innovative ways of studying the poetry which is prescribed for GCSE study. 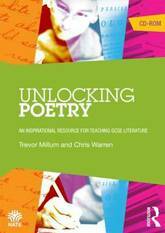 Unlocking Poetry not only provides poems in electronic format but also presents them in a variety of other forms which help students to undertake their own investigation and analysis, including: sequencing and collapsed-text activities; a special approach called a Word Wall and cloze test activities; tools for annotating the poem using a data projector or interactive whiteboard; ideas for using the poems creatively with ICT or as an inspiration for original writing; a host of teaching tips and technical guidance which can be applied to any electronic text. Activities can serve as a workshop for innovative ideas, with techniques for study that can easily be applied to other texts, and can be shared, filed and made available to many users simultaneously. 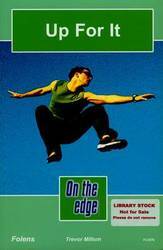 The CD-ROM contains all the pre-1914 poems from the AQA, Edexcel, OCR and WJEC anthologies and is full of practical suggestions on how to approach individual poems. 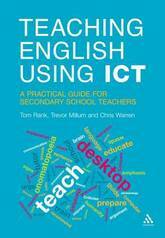 It will be an invaluable resource to Secondary school English Teachers and students on PGCEs and ITT courses. 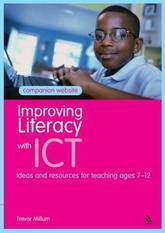 This title covers adaptable activities for using common ICT equipment to improve literacy skills in the primary phase. ICT offers exciting new ways of inspiring and engaging pupils in reading and writing, through a variety of methods including group and paired discussion. This book includes tried-and-tested activities along with a cross-curricular mapping grid to show how the activities can be used across a range of subjects. Each activity includes: a suggested age range, although each exercise is easily adaptable; an introduction to the approach, exploring why it enhances teaching and learning; exercises and templates, with suggestions for developing the activity; and, ideas for differentiation. Some activities involve the students using the available technology, while others encourage you to incorporate ICT equipment and resources into your teaching. All the activities use commonly available software and are available online so that you can make them your own and display them on your interactive whiteboard. A number of step-by-step task sheets are also available online to help students with little experience of using ICT, as well as a quick confidence boosting guide if you need help using the ICT in your classroom. Love's a complicated thing. Especially when you're not the most confident person around. But it's about to get a whole lot more complicated. David fancies...well, he doesn't know her name. Simple, he'll pass her a note - ask her out. But it falls into the wrong hands, and that's when the trouble starts. Monica gets news that her father is ill and realises she needs to get back to Kosovo. But she has no passport, so Mick decides he'll help by stealing one from a local foreign student, with the aid of his best mate Phil. But does Monica want Mick to help her? 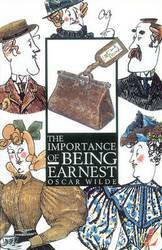 This paperback educational edition of The Importance of Being Earnest provides ideal support for 14-18 year old students. 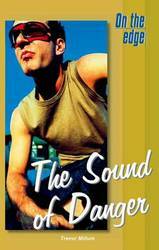 Exciting and powerful classic stories to enrich and extend children's reading experiences. TreeTops Classics are carefully adapted versions of must-read stories which introduce readers to significant authors, powerful plots and characters that have stood the test of time. These abridged versions of classics have been sensitively adapted by top children's authors to ensure that language and content is appropriate, but remain faithful to the original. These enchanting stories will appeal to all children and introduce them to a rich literary heritage. Each book includes author biographies and notes to help with historical and social context and any challenging vocabulary, ensuring the books are easily accessible. Books contain inside cover notes to support children in their reading. Help with children's reading development also available at www.oxfordowl.co.uk. The books are finely levelled, making it easy to match every child to the right book.  This pack contains 6 books, one of each of: Frankenstein, Jane Eyre, Stories of Sherlock Holmes, Wuthering Heights, Treasure Island, Robinson Crusoe. Exciting and powerful classic stories to enrich and extend children's reading experiences. TreeTops Classics are carefully adapted versions of must-read stories which introduce readers to significant authors, powerful plots and characters that have stood the test of time. 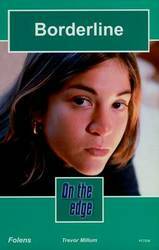 These abridged versions of classics have been sensitively adapted by top children's authors to ensure that language and content is appropriate, but remain faithful to the original. These enchanting stories will appeal to all children and introduce them to a rich literary heritage. Each book includes author biographies and notes to help with historical and social context and any challenging vocabulary, ensuring the books are easily accessible. Books contain inside cover notes to support children in their reading. Help with children's reading development also available at www.oxfordowl.co.uk. The books are finely levelled, making it easy to match every child to the right book. This pack contains 36 books, six of each of: Frankenstein, Jane Eyre, Stories of Sherlock Holmes, Wuthering Heights, Treasure Island, Robinson Crusoe. You think your life is sorted. But your fortune can turn on a couple of moments. And you couldn't have done anything about it. Sandra borrows Frankie's posh BMW. But then she gets lost down a country lane, and sees something terrible. What's more, Frankie needs the car back quick, and time is running out. Each book in the New Longman Literature series provides the complete, original text and a full range of support materials. The study material includes: the writer on writing - a section by or about the writer, exploring the process of writing; an introduction; guidance on keeping a log; a National Curriculum study programme; and a glossary.